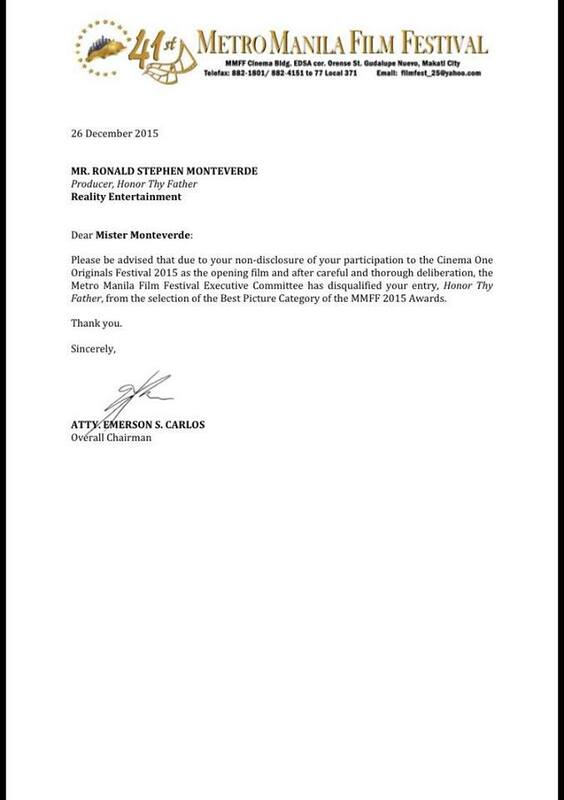 Home Entertainment Honor Thy Father: Disqualified from MMFF Award Best Picture Category? 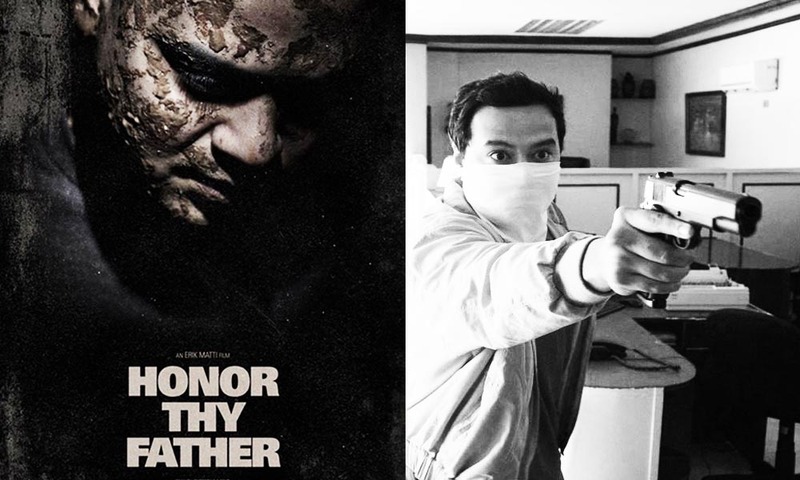 Honor Thy Father: Disqualified from MMFF Award Best Picture Category? 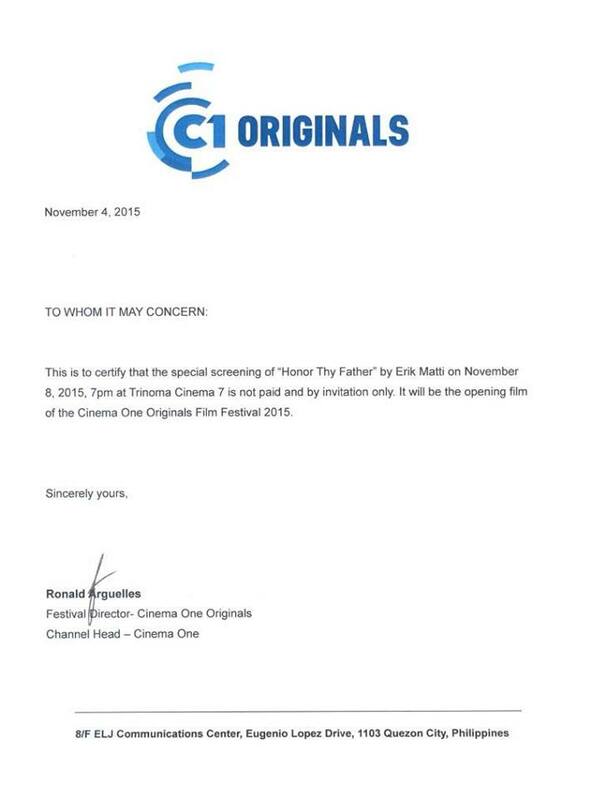 Last Saturday, the MMFF Executive Committee disqualified ‘Honor Thy Father’ because the committee said that the producers did not disclose the movie’s participation in the Cinema One Originals Film Festival as the festival’s opening film. The film producer said (Monteverde), that because Honor Thy Father was a last minute addition to the MMFF roster, they had already accepted Cinema One’s invitation when they found out they would be included in the MMFF. 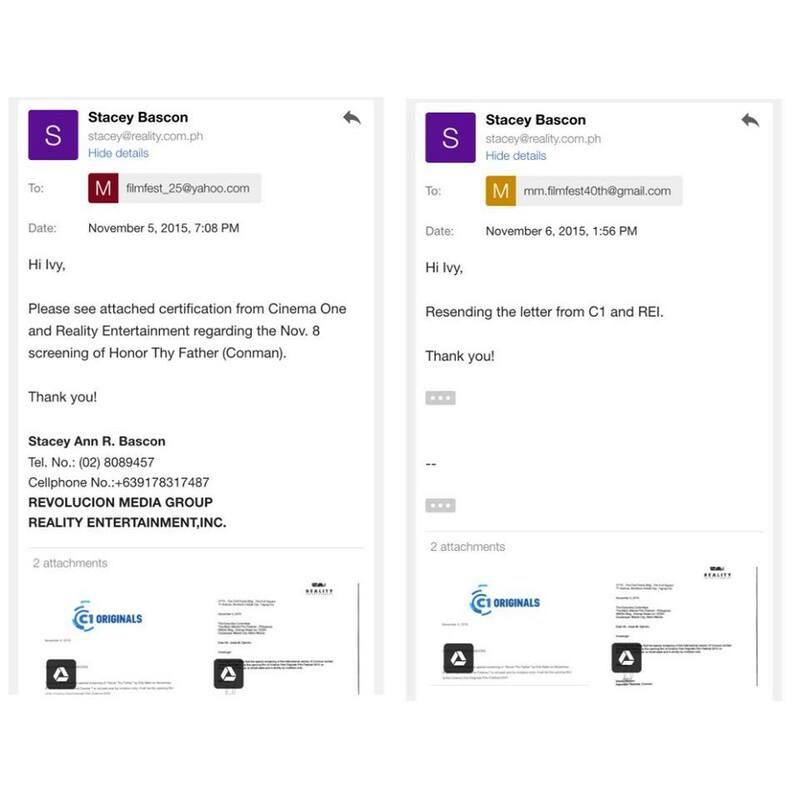 They believe that it was just a matter of scheduling and minor misunderstanding. Monteverde said that they informed the MMFF about this through communications via phone and email. 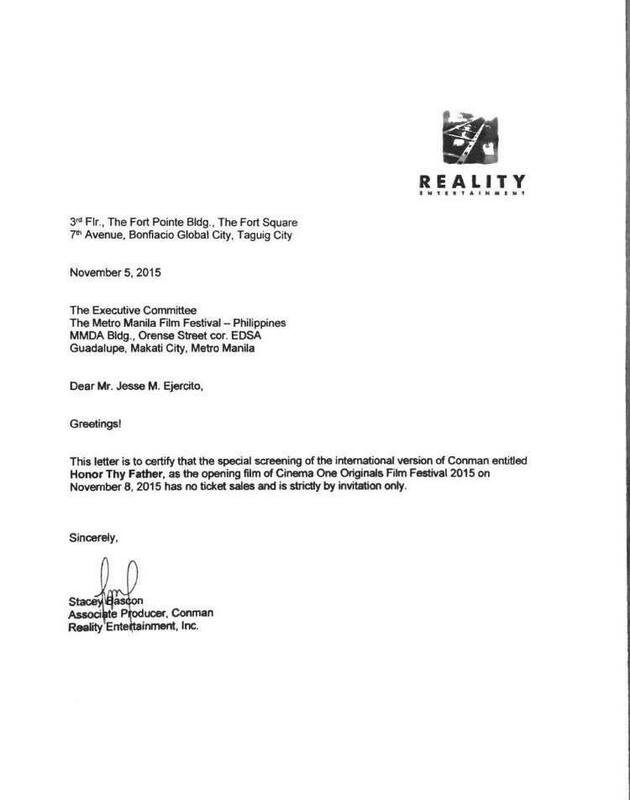 According to him, they also complied with MMFF’s request that the screening did not generate any form of revenue and was by indeed an ‘invitation only’. This statement was posted in the ‘Honor Thy Father’ Facebook page clarifying that they complied with the MMFF regulations. Moneteverde voiced out his deep sentiments on the matter. He questioned the true basis of the decision and its further enforcement. He ended his message with this. The MMFF Awards is today, December 27. You can read the whole statement of Monteverde below. The movie, also known as Con-Man, is directed and written by Erik Matti, starring John Lloyd Cruz. It was screened in the Contemporary World Cinema section of the 2015 Toronto International Film Festival. It has been selected to be screened at the 2015 Metro Manila Film Festival. Do you think the MMFF is right with their decision? or Monteverde and Matti has a strong point? Let us know your thoughts on the comment section below.